The healthcare industry has always been willing to embrace technological development. Without it, many of the treatments and procedures that we take for granted today would never have come into existence. Although healthcare technology has traditionally been centered on medical equipment and pharmaceutical testing, now digital technologies, not too dissimilar to the ones we use in our everyday lives, are beginning to have an impact. 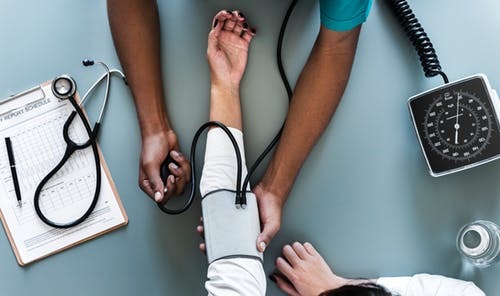 As more medical data about ourselves, and more sophisticated methods of analysing this data, become available to the everyday person, will we transition away from the traditional doctor-patient relationship towards administering our own healthcare? The fact that millions of us now carry a powerful computer around in our pockets threatens to cause huge disruption to the medical industry. We can now look up symptoms and treatments wherever and whenever we like, giving us greater access to medical information than ever before. Taken one step further, our smartphone could also give us greater access to medical professionals too. Using an online Dr app can ensure that you receive the medical advice you need much faster than if you were to employ the usual methods. Instead of ringing up your local practice and being told that the earliest appointment is more than a week away, you can set up a meeting in seconds and be put through to a live video call with a healthcare professional in minutes. Not only does this mean that you receive the faster care, it also reduces the burden on already-overcrowded GP surgeries and hospitals. Although the Internet of Things has yet to truly burst into life, it does promise a number of innovations in the field of medicine. First of all, the future will see every home contain a number of IoT sensors collecting data all the time. These could be used to keep track of the health of vulnerable individuals without having to supervise them at all times. An IoT baby monitor, for example, could be placed in a crib and monitor vital signs, transferring them to parents and medical professionals at the same time. For the elderly, IoT devices could be used to dispense medication at the correct intervals so they no longer have to worry about taking their pills at the wrong time or forgetting altogether. All of the data that will be generated and stored by the Internet of Things will not only empower medical professionals to discover new tools, it will also let individuals take greater personal responsibility for their health. Maintaining a healthy lifestyle is a great way of preventing disease and modern technology is providing us with the tools to achieve this. Fitness trackers and healthy eating apps help us to keep track of how we’re treating our body. This gives us greater visibility and enables us to make better choices about how we live. In the future, it is conceivable that wearable devices will give even greater clarity about our health, telling us about our cholesterol or vitamin levels. When this does happen, we will be able to manage our own health much better, meaning that we only call on healthcare professionals when we truly need them.